President Coolidge, Secretary of War Weeks and Assistant Secretary of the Navy Theodore Roosevelt Jr., placing a wreath at the Tomb of the Unknown Soldier, 1923. Photo credit: Library of Congress. “To get a few days’ rest I went to Maine the next Friday after the election. It was there that I was awakened in the middle of Sunday night to be told that the Armistice had been signed. I returned to Boston the following day to take part in the celebration. What the end of the four years of carnage meant those who remember it will never forget and those who do not can never be told. 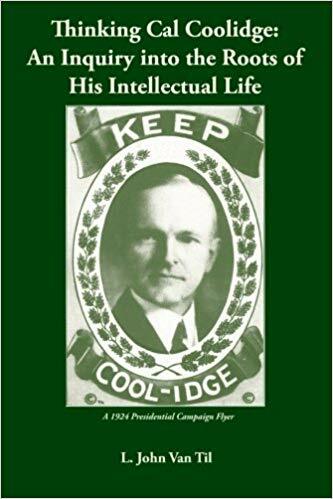 The universal joy, the enormous relief, found expression from all the people in a spontaneous outburst of thanksgiving.” — Calvin Coolidge, The Autobiography p.123. “We are able to participate in this celebration because our country had the resources, the character, and the spirit to raise, equip, and support with adequate supplies an Army and a Navy, which, by placing more than 2,000,000 men on the battle fields of Europe contributed to the making of the armistice on the 11th day of November, 1918. “Our first thought, then, is to acknowledge the obligation which the Nation owes to those who served in our forces afloat and ashore, which contributed the indispensable factor to the final victory. Although all our people became engaged in this great conflict, some in furnishing money, some in producing food and clothing, some in making munitions, some in administering our Government, the place of honor will always be accorded to the men and the women who wore the uniform of our country – the living and the dead. “As we contemplate the past 10 years, there is every reason to be encouraged. It has been a period in which human freedom has been greatly extended, in which the right of self-government has come to be more widely recognized. Strong foundations have been laid for the support of these principles. We should by no means be discouraged because practice lags behind principle. We make progress slowly and over a course which can tolerate no open spaces. It is a long distance from a world that walks by force to a world that walks by faith. The united States has been so placed that it could advance with little interruption along the road of freedom and faith. “No one can doubt that our country was exalted and inspired by its war experience. It attained a conscious national unity which it never before possessed. That unity ought always to be cherished as one of our choicest possessions. In this broad land of ours there is enough for everybody. We ought not to regret our diversification, but rather rejoice in it. The seashore should not be distressed because it is not the inlands, and the fertile plains ought not to distracted because they are not the mountain tops. These differences which seem to separate us are not real. The products of the shore, the inlands, the plain, and the mountain reach into every home. This is all one country. It all belongs to us. It is all our America. “We had revealed to us in our time of peril not only the geographical unity of our country, but, what was of even more importance, the unity of the spirit of our people. They might speak with different tongues, come from most divergent quarters of the globe, but in the essentials of the hour they were moved by a common purpose, devoted to a common cause, and loyal to a common country. We should not permit that spirit which was such a source of strength in our time of trial to be dissipated in the more easy days of peace. We needed it then and we need it now. But we ought to maintain it, not so much because it is to our advantage as because it is just and human and right. To Coolidge, marking the end of that universally sanguine yet horrific war, brought Americans of all communities together because it was fought and won by everyone sacrificing and serving side-by-side. It left a profound demonstration of what mighty good comes when Americans unify around the principles and common purpose we share instead of fueling a thousand antagonisms that keep us apart, feed the animus to one another, and tear down when what we need most is building up. Yet, November 11th retained something very personal to each individual. Coolidge understood it might lose that personal regard if it were to become just another nationalized day off. 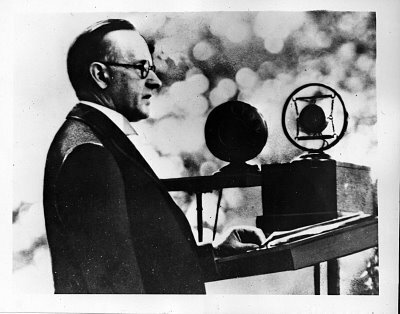 For Coolidge, the Day meant the most when its meaning was kept alive through individual and voluntary remembrance. Whose service do you remember on this Day? It has always been easier to destroy and tear apart, to vilify and divide. There have always been those trying to uproot and supplant, seeking to forge some short-cut past the slow, difficult task of living up to that high calling: American citizenship. Their impatience toward and disrespect for the source of law and self-government only worsen the situation. Forcing “them” into generalized camps against “us” only thrives when the same prejudice and bigotry attributed to others is lived by their accusers. It enslaves the mind and poisons the heart and, in the end, thwarts what good rests in the power of each person to choose. We often miss the opportunity in our reach because of a fixation on what we deem to be others’ imperfections. As Coolidge knew, there is no quick route, no magic law or public ordinance that can improve upon what 1776 discovered about humanity, government, and each one’s part on this side of eternity. Like the aftermath of the war that ended one hundred years ago, we would better use the time to edify and build up each other and by so doing, find a more rewarding outcome in the end. It will prove a service worthy of the generations of hardy pioneers and humble innovators who bequeathed the best they had to this exceptional idea called America. President Coolidge, Secretary of War Davis and Secretary of the Navy Wilbur present the wreath at Arlington, 1924. Photo credit: Library of Congress. This is a great post. It was a remarkable gift of Providence that at a time when racism and religious prejudice were commonplace, the United States had as its President a man of who had such a deep appreciate of American diversity, of what makes America America.